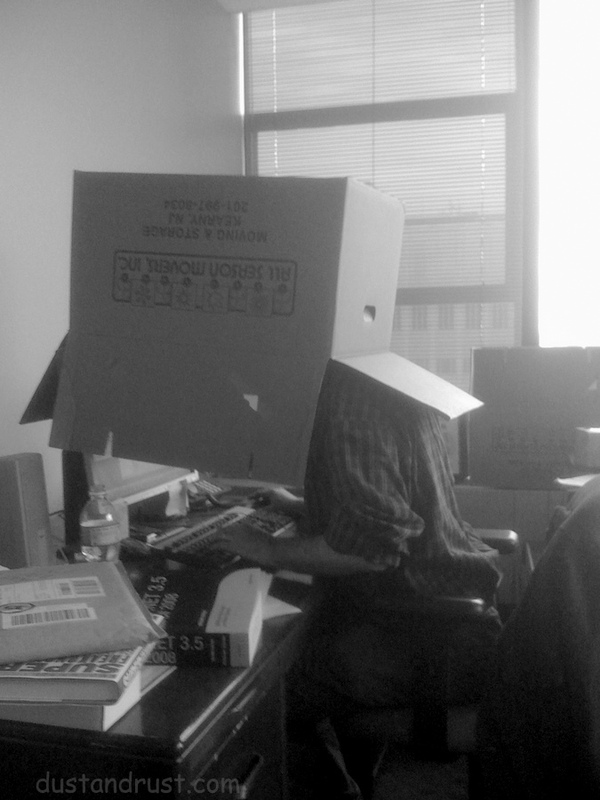 While not as extreme as the Cardboard Office, my friend/co-worker Mike was trying to come with ideas for gaining some privacy in our temporary office space. I’ve resorted to a pair of Sennheiser EH-150’s to block out the world… but his approach does a better job of getting the point across. On the technical side, the photo was taken with my iPhone… not my first choice in photographic tools, but it’s always there when a quick snap is needed. The crappy lens adds a nice soft glow to the image.